This beat is really productive. 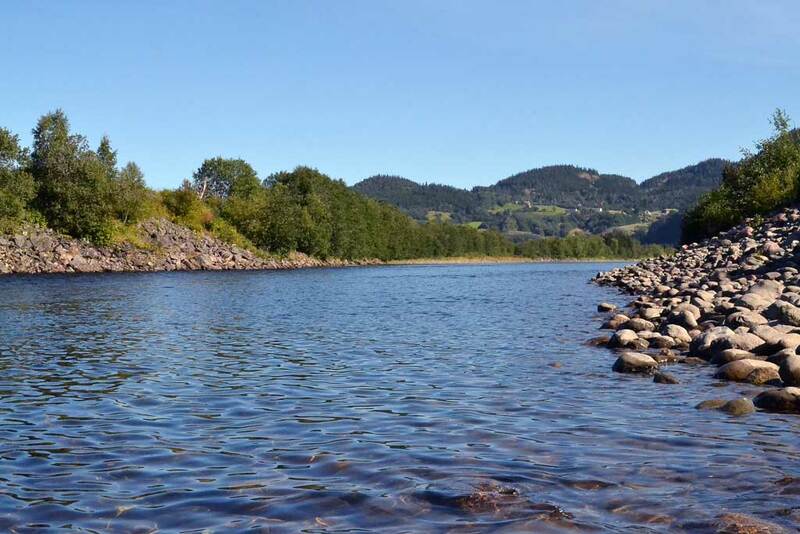 During 2015 192 salmon were caught in the four pools. 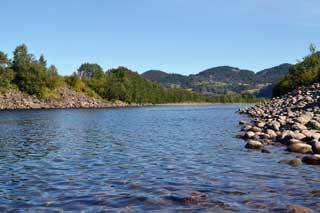 This beat is below Svorkmo on the lower reaches of the Orkla which means that you almost always have higher water than in the upper reaches. 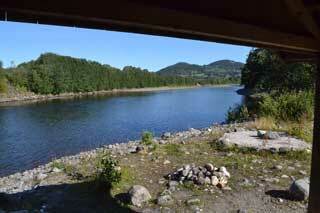 Finnhølen is a classic pool with a really deep hole and a shape that means it fishes well whatever the water levels. It’s probably best at normal and high water levels. It is very important to wade into a good position and you need to find strips of land that let you walk out. Finnhølen is about 500 metres long and can be fished from both banks.